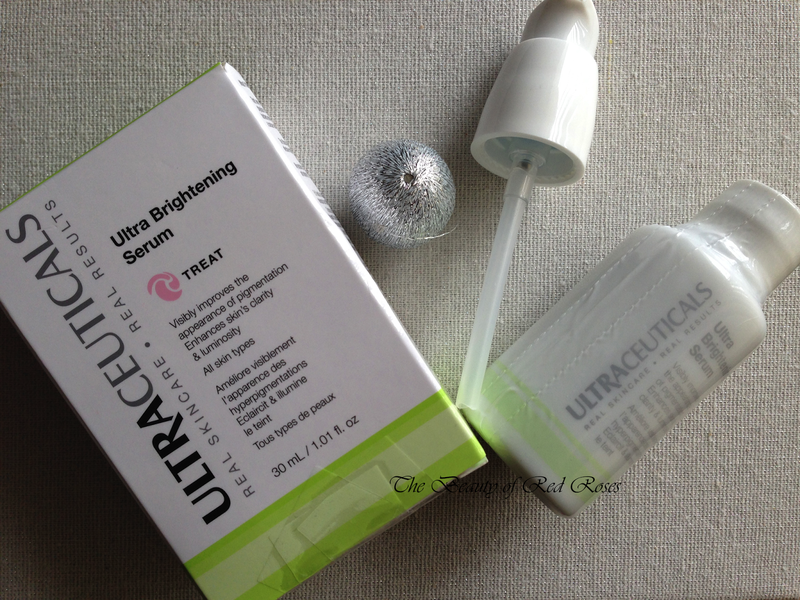 Ultraceuticals Ultra Brightening Serum (A$135/30ml) is one of Ultraceuticals most talked about formulations that aims to reduce mild to advanced hyperpigmentation (age spots, discolouration and uneven skin tone) to boost the clarity and luminosity of the complexion. The Ultra Brightening Serum is a potent concoction of brightening agents, pigment blockers and exfoliants including: Artocarpus Lakoocha and Bearberry Extracts to reduce the appearance of hyperpigmentation, and AHAs and BHA to clarify and exfoliate the skin. The formula also contains Lactic, Citric and Salicylic acid to increase skin turnover, which helps to shed pigmentation across the surface layers of skin. I've been trialling this serum for four weeks and due to the potency of this serum, I was advised to apply the serum once per day for about 1 week and then continue with a twice daily application from there onwards. The scent of this powerful serum is quite strong and slightly unpleasant for my sensitive nose, however, it does disappear after a couple of minutes. The pump is really convenient as one full pump dispenses about a 5 cent sized amount, which is sufficient to apply on my face. The serum has quite a thin consistency, so the best method to apply this serum is to gently dab and press the serum all over the face. Upon application, the serum absorbed into my skin quickly and my skin experienced a relaxing cooling sensation. I didn't notice any major changes to my skin texture, in terms of pigmentation and uneven skin tone, however I did notice that my complexion was beginning to appear brighter and clearer after about the 3 week mark. Thankfully, the formula, although quite potent, did not irritate my sensitive skin. I was quite hesitant to continue use of the Ultra brightening Serum due to its potency, though building up the application from applying once daily to twice daily helped my skin to adapt to the brightening agents. 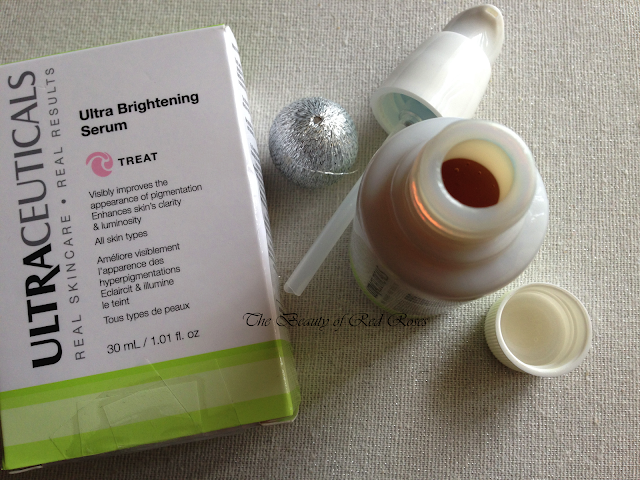 Ultra Brightening Serum is an effective formula for my skin and it's something my skin can't get enough of! 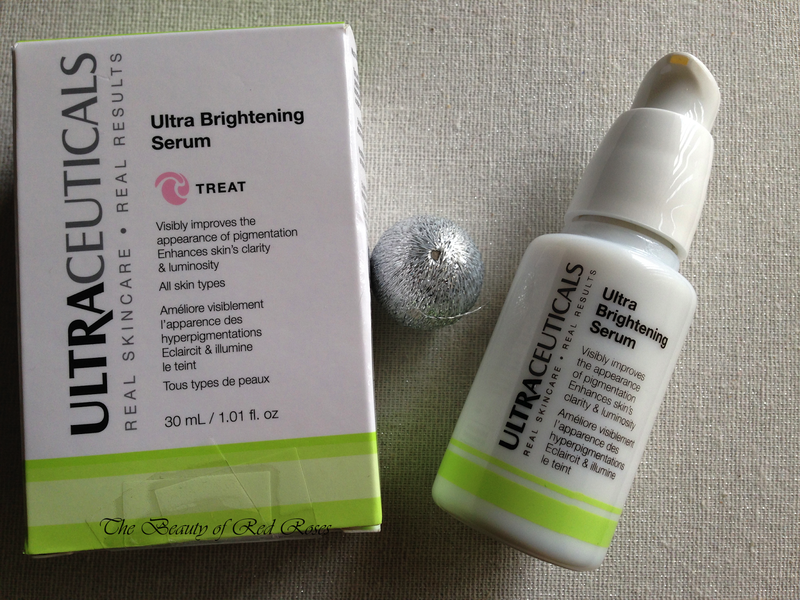 Have you tried using Ultraceutical skin care products before? Does your skin suffer from hyperpigmentation? How do you combat hyperpigmentation?